at first thought – a squirrel playing – but no! a tiger pounces from limb to limb! 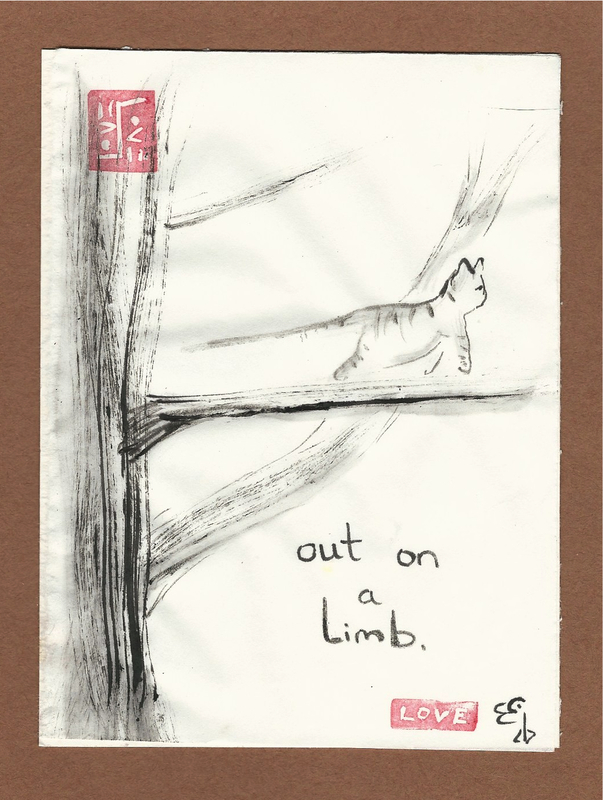 This entry was posted in The Now and tagged artist, cat in tree, eco-chaplaincy, eco-ministry, eco-mysticism, eco-spirituality, Elizabeth Teal., explore, feral cat, minister, out on a limb, painter, poetry, spirituality, sumi-e, tabby cat, teachings, tiger. Bookmark the permalink.